Securly, is the worlds first cloud-based web filtering solution that integrating into the K-12 system to protect schools both on and off campus with any device. The intention behind Securly is simply to keep kids safe online, anytime and anywhere. Schools nowadays are fulfilling the needs of student’s abilities to interact with technology at an incredibly fast pace. As educators we may not be paying full attention to the dangers of technology, and how they can be damaging within a classroom environment. This is where Securly steps in, to protect students from being bullied and reduce the risk of self-harm. 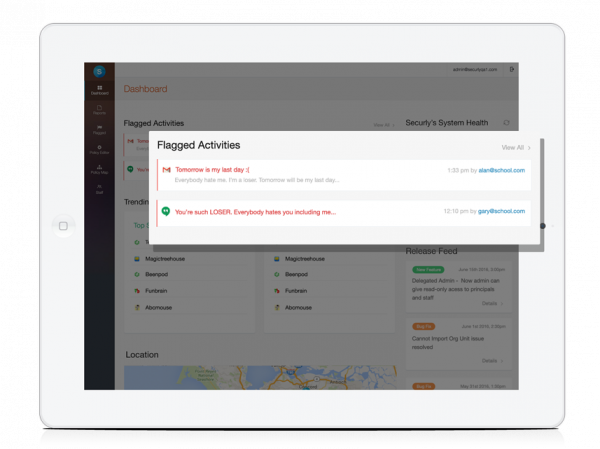 By partnering with Securly, MicroK12 can offer school districts a way to flag activities that can potentially lead to bullying, and provide online safety to kids’s in both their schools and personal devices. Securly provides Filter, a K-12 web filter application designed for maintaining an age-appropriate internet. Keywords are scanned through Securly’s system to detect anything examined through major search engines on Bing, Google, Yahoo, Youtube, and Wikipedia. Ensuring students are only viewing safe content free of malicious or unsuitable within a classroom environment is imperative. What can Securly do to protect your school? 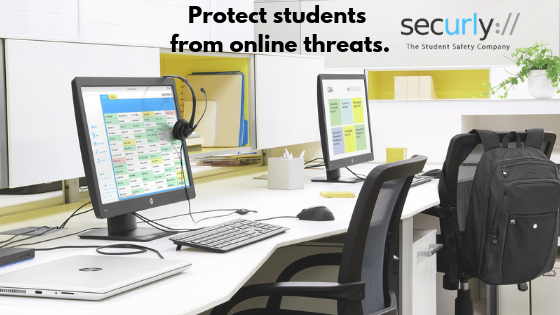 A fully functional and easy to use cloud-based web filtering solution allows for IT admins, school staff, and parents to closely monitor and protect students in a digital world. Monitoring through a filtering system enables these users to be notified of any suspicious/disturbing activities. Parents are given authority from school issued devices through emergency notifications, and weekly reports of child’s device usage. The awareness of what students are actively doing during school hours compared to little oversight can save a lot of worry both from the parents and educators daily lives. How does Securly detect cyber bullying? Using AI (artificial intelligence), Securly is able to onfigure a natural language processor (slang, profanity, or any words out of the ordinary) to look for any flagged signs of cyberbulling or self-harm. Once these words have been detected users of the program i.e. parents, and educators are notified via alerts (through Filter application and Parent Portal) and allow adults to be notified of students suffering before any damage could be done. Receive alerts that matter to your school and can make for a safer environment. By receiving alerts sent from Securly, schools receive information that deserve immediate attention. Actions following can be taken care of by communicating in person with guidance counselors and parents within a safe and inclusive environment. What types of services does Securly offer? FREE Classroom Application – Where teachers are administrators. Classroom allow teachers and admins to decide which sites should be accessible while on school grounds. Classroom lets teachers open/block sites based on the lesson plan each day. By tracking assignments, keeping students focused on tasks, teachers are given piece of mind when it comes to classroom management. 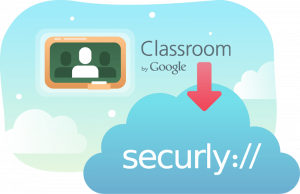 Through Google Classroom API, student rosters are imported into Classroom by Securly in a single click. 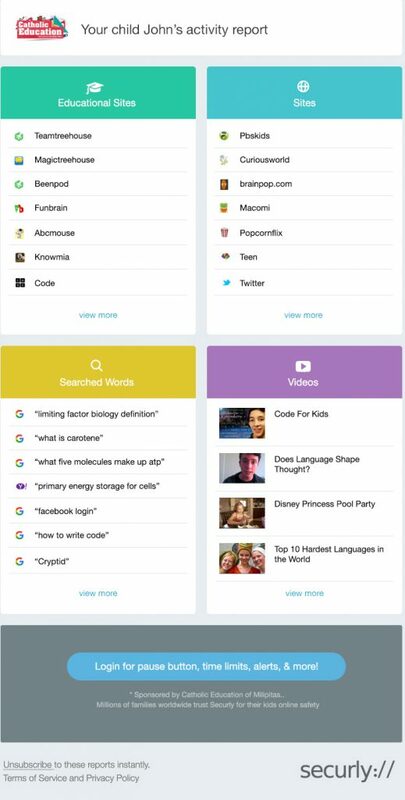 All necessary information can be accessed within moments and enables classrooms to whitelist websites relevant to what is being taught on any given day. Curious what else Securly can do to enhance your schools safety? Securly offers a variety of products and services that you’re able to learn about by getting in contact with MicroK12 and checking out Securly’s website. 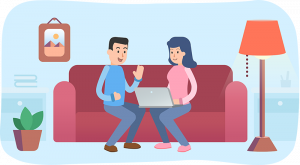 Combining internet safety and lessening the risk of cyberbullying, Securly builds features that can allow schools and parents to join forces, nurture, and guide kids on managing their screen time safely and in a productive manner. Web Filtering & Parental Controls For Schools & Families. “Web Filtering & Parental Controls For Schools & Families.” Securly, www.securly.com/products/classroom.